If you have some secret or sensitive information that you would like to share with your friend, you can choose the secret conversation. The messages are end-to-end encryption and you can also make your secret conversation delete itself after a certain period of time (click clock icon in the text box). To start the secret conversation, select a friend > tap the 'i' logo in the top right corner > select Go To Secret Conversation. Facebook Messenger has rolled out unsend messages feature that allows people to remove and unsend their sent messages from recipient's box. Messages can only be remove/unsent for the first 10 minutes after the message delivered. In group chat, this feature can also remove the message from the inbox of all the recipients and shows an alert saying that you have removed a message in the chat box as well. What you need to do to unsend your message is just long press > choose delete for everyone/delete for you. 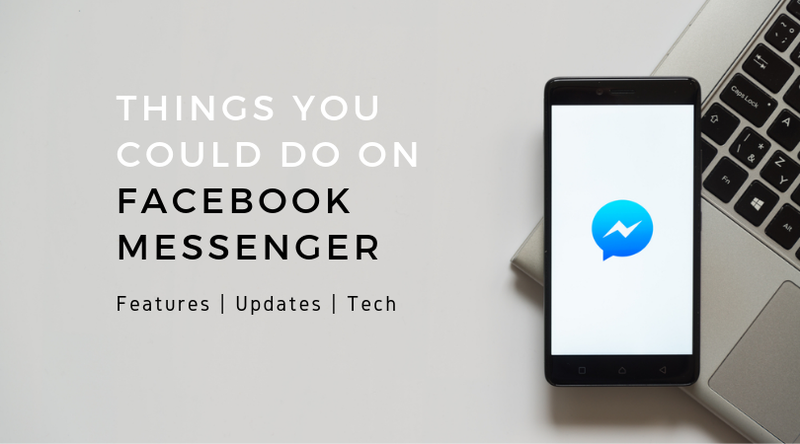 Have you meet someone you like and wanna start a conversation through Facebook Messenger instantly? Feel difficult to find a person through Facebook search bar? Especially it shows up many common name or complicated name. Now you can scan their unique profile code and start a new chat with them. To access this feature, open Messenger > tap your profile's icon at the top left corner > tap Scan Code (above your own messenger code) > point your phone's camera and scan messenger code. 5. Make a Spotify Playlist, Share Restaurants, News And More!